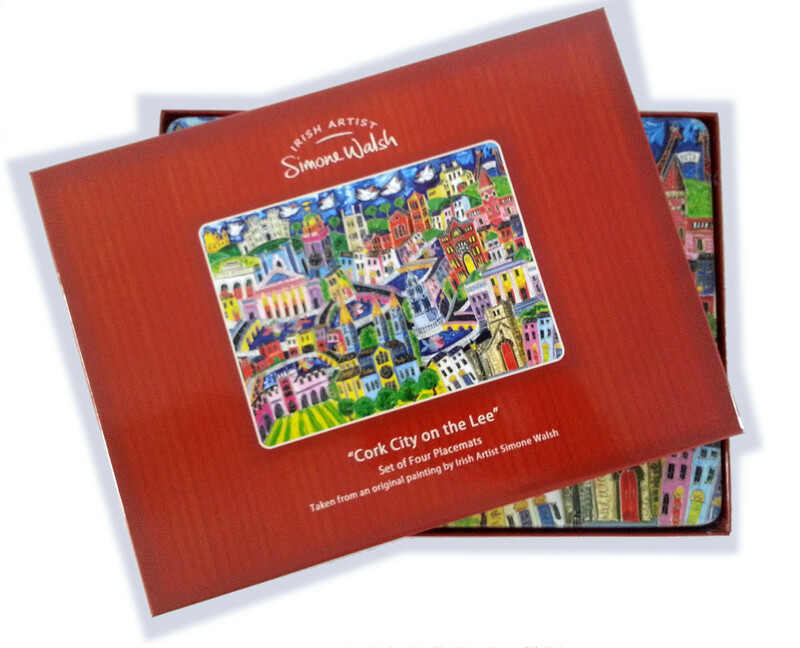 Simone has designed her colourful and vibrant Cork City Scene to capture the essence of the city and her quirky little additions of flora and fauna is sure to make you smile! 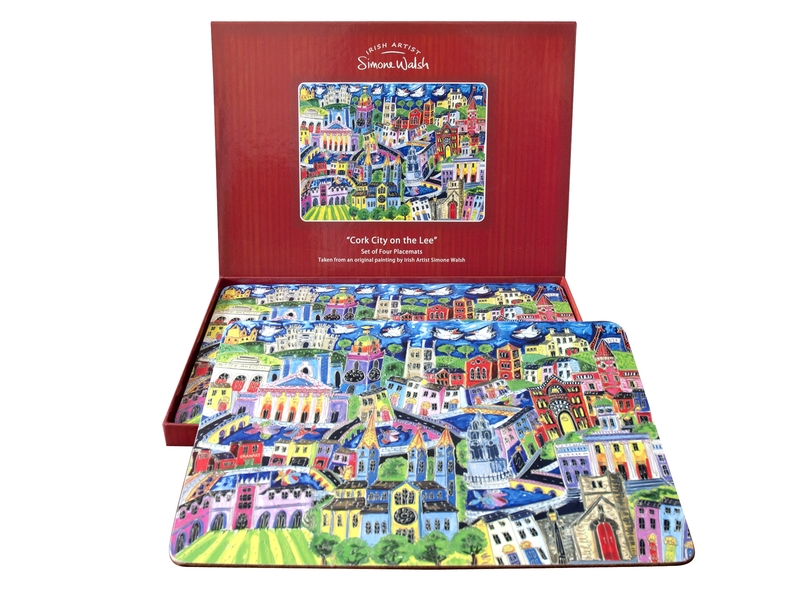 Each time you look, you see something different! 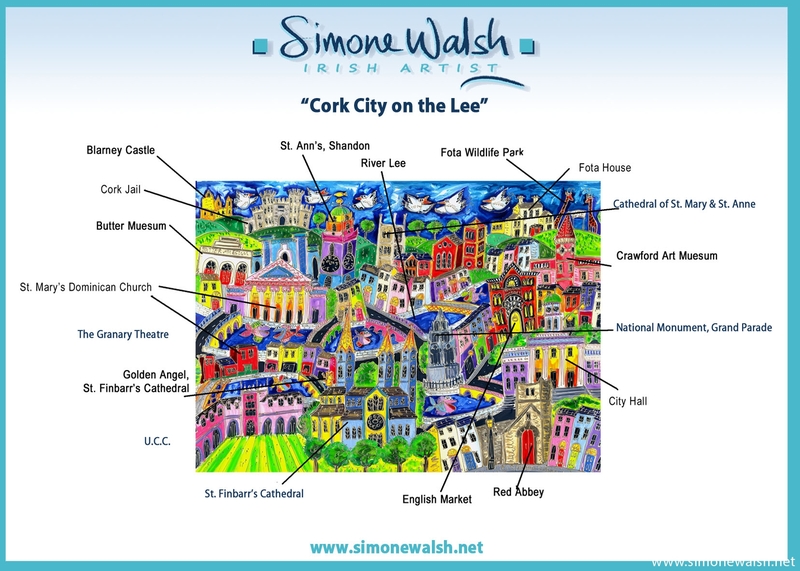 There is a key map available on line to help you locate the various places depicted in each print. 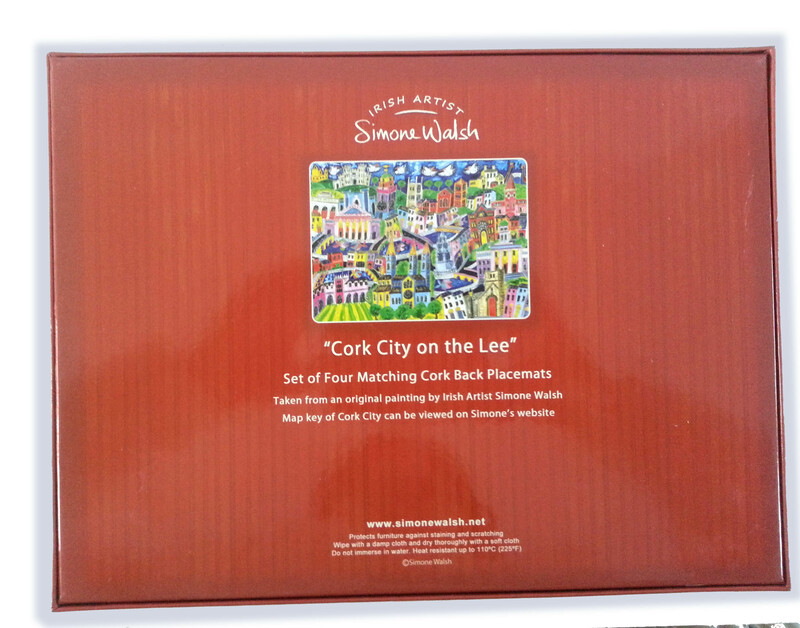 Boxed set of four matching cork-backed placemats featuring the best selling Cork City on the Lee design. These vibrant placemats have a gloss finish for ease of cleaning. 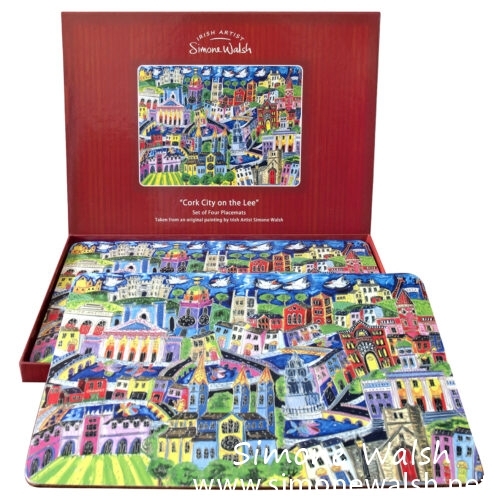 Each placemat measures 29cm x 21.5cm x 0.4cm. Heat resistant up to 110 degrees C (225 degrees F).